Darlene: I enjoy the accountability and that it keeps me shooting, week after week and some weeks, it is the only photograph I take so that feels special. I especially love Sunday evenings when I open Kristen’s email and pull her photo and that moment of seeing them both together feels like our friendship, our connection to each other and how solid that feels in our fifth year of this collaboration. When we started, I was hoping for a full year because the availability with regards to polaroid film in 2009 was filled with such uncertainty and yet that in and of itself feels so hopeful to me because here we are in 2013 with an abundance of impossible film (and I even have a small cache of expired polaroid) and a friendship that has grown so beautifully. Kristen: I love this collaboration because it’s a committed reason to pick up my camera each week. I love that we have a visual marker of what’s been going on in our lives, especially because there’s such a great contrast in where we both are located. But the best part of this is that we don’t discuss what we’re shooting. The reveal each week is a surprise and it’s remarkable to see how connected our photos are. Vivienne: It really is a synergy that happens when we all are telling a story around the same theme but inspired by that month in our lives. I am always in awe of how they seem like they fit together! I love the friendship and connection. Having that space to meet together and share that with others feels really sacred. Jennifer: Self-portraiture is a form of therapy, in my opinion. The collaborative blog allows us to express ourselves in a safe and supportive environment. Some months, we giggle at silly things that happen. Other times, tears flow as sensitive issues rise to the surface when we meet the challenge of a prompt. No matter what, our hearts are in it together. This project feels genuine to me, and the courage in our collaboration is contagious. I find myself willing to open up more and more as each month passes. No matter how hectic or busy our lives are, we show up. And I love the anticipation of what our combined artistry will yield any given month. I get all nervous and excited when the photos come in and I get to see them side by side! Deb: I feed off the energy of working with other artists. They become my Muse. I become stretched and challenged by the prompts, and it completes the circle when it all comes together each month with our triptych and the stories behind our photos. The synergy we have is powerful. I appreciate the dedication for a common project. I am constantly amazed with the flow of honesty, vulnerable story telling and cohesive self-portraits that work every month, even when we do not share them before submitting! Now that is magic! Xanthe: Working with other creatives opens your mind to other possibilities, different ways of working and views of the world. We’d never met before starting the blog, and through creating together we’ve got to know each other really well and we found that we have so much in common and have become good friends. Also working together on a project like this makes you accountable to produce regularly, because it’s a team effort. As we are photographing the same thing, it’s the thrill of seeing the diptychs come together… how they may be similar or different. It’s always such a special surprise, like the time we had the prompt “clock face” and we shot it at the same time! Irene: One of the reasons why we’ve been doing this for almost two years now is that we genuinely love it. We see the beauty of it. We always say that we will stop when it’s no longer fun. And it is still a lot of fun. We also don’t put any kind of pressure on ourselves. We don’t check traffic or really try to promote the blog. We take breaks on occasion. We love how this collaboration encourages us to go out and shoot, and consistently reminds us that the details of every day life, as imperfect, messy and trivial as they are, are what makes it beautiful. And of course, we are most grateful for the true friendship. Anika: Collaborating is one of my favorite things to do. Which is strange because a lot of the time I get in this odd, uncomfortable place of not knowing what to create, of wanting to make someone else happy but keep my integrity and stay true to myself. But it’s this lesson of letting go; of trusting what I want to envision and create that is often the best part about collaborating. Working with someone else forces something out of me and my imagination that wouldn’t be pulled out otherwise. With Me & You, 52 the collaboration works a little easier. It’s different than any other collaborative project I have done before. Most of the time Christy and I don’t know what the other will submit until the post is up on Monday morning. For me, that’s when the start of inspiration often occurs. 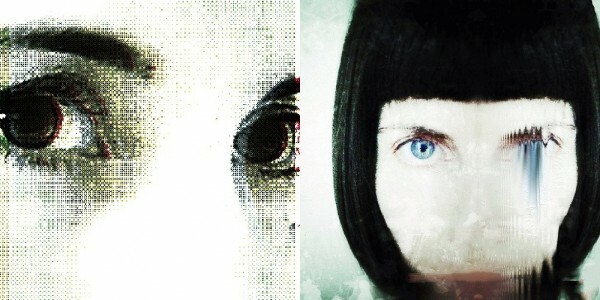 I can marvel that we thought something so similar or that our colors mesh so perfectly that the diptych looks planned. It’s in those moments when I look at connections differently, when I am inspired to create something again, when I am given drive to keep up with the challenge every week. Being inspired is the icing on top of the cake. But I love the hidden surprises that await me in each cut piece. Each week I look forward to seeing what happens in the unknown that can only be created within collaborating. Thanks to all of you ladies for collaborating with me on this post, it was so fun to put together and learn a little bit more about your work together! If you are interested in seeing more of their beautiful images, please check out the links to each of the collaborative and individual blogs and flickr streams linked throughout the post. If you have a collaborative blog of your own, or others you’d like to share, please tell us in the comments today. Or, maybe this will be just the spark you need to find a partner and start your own collaboration. Thanks for stopping by Lynne! I am so honored to be a part of this. how incredibly inspiring all of these projects are. and to know there are so many makes it all the more accessible. I loved that many of the same reasons for working together on collaborative projects were highlighted by us all. Xanthe, thanks so much for participating in this post with me. I love your blog and am happy to share it with our community here! Sharing the creativity and pushing each other further and deeper is so wonderful. Thank you for having us Christy! It’s a pleasure to be in such good company. 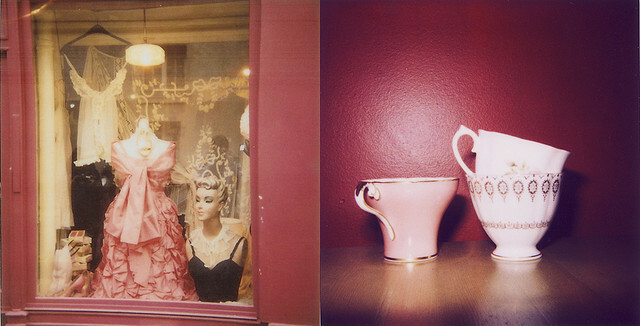 Kristen, your work is inspiring and I was happy to feature Polaroid Girls here today! i am in awe of these collaborations both for the marvelous work you all do and the lovely friendships you have made! and it reminds me that i have fallen so far afield of “me and you 52” and i enjoyed it so very much–i must rectify that!!! thank you so much for posting this!!! Linda, thanks for coming by Mortal Muses today! Wonderful post Christy! I have been a fan of yourself and Anika for a couple of years now. I was inspired to do a collab on Instagram with Ashley Callaghan which is a nine part series titled,”My Grace Is Sufficient.” I think Instagram is a great way to explore a collaborative project without the commitment of a blog if you’ve never done one before. Anika is right, there is an element of trust that you must practice with this kind of creative work. I’m always inspired by your work Christy, now I’m going to check out these other ladies work!! I do love a good collaboration and it seems that others do too. Thank you all for your sharing your words and vision here. Thanks for the comment K! It really is one of my favorite things to do artistically – collaborate. When you find the right connection really special things can come from it. These above are perfect examples! Loved the post and reading what everyone’s thoughts are…inspiring just as much as the images! Thanks Christy! PS-looking forward to investigating these other projects! My collaborative pal, thanks for your input on this post and for all the work you do behind the scenes at M&Y52. You’re the best! It is such an honor to be featured here. Christy, thank you so much for including She is Three. I learned more about our own collaboration by answering your questions, and I loved reading about Polaroid Girls, London vs. Paris, and of course Me & You 52! Such fun to see all the synergy! Thanks again for your help in putting this all together! a wonderful post celebrating these creative and spirited collaborations!!! Michelle, thanks for stopping by!! thanks for stopping by barbara!! Audrey, thanks for stopping by, glad you enjoyed it! I bookmarked them all!! Thank you for sharing this. I was feeling a little bummed that not a lot of people were contributing to the collaboration this month. I couldn’t understand why because like I read above there is so much inspiration to be shared when artists do things together. I know for me I held such similar feelings as shared above, I often miss my collaboration yet this month has given me reason to reach out with others and I love it, just love it. Thank you for sharing these thoughts and blogs. Tracie, I hope you find some good collaborators to share with, thanks for coming by! Amazing collaborations between amazing artists.